The Tilde "Future" Longsleeve is a classic long sleeved women's t-shirt, made of soft organic cotton quality. This version features our popular "The future is human" print. 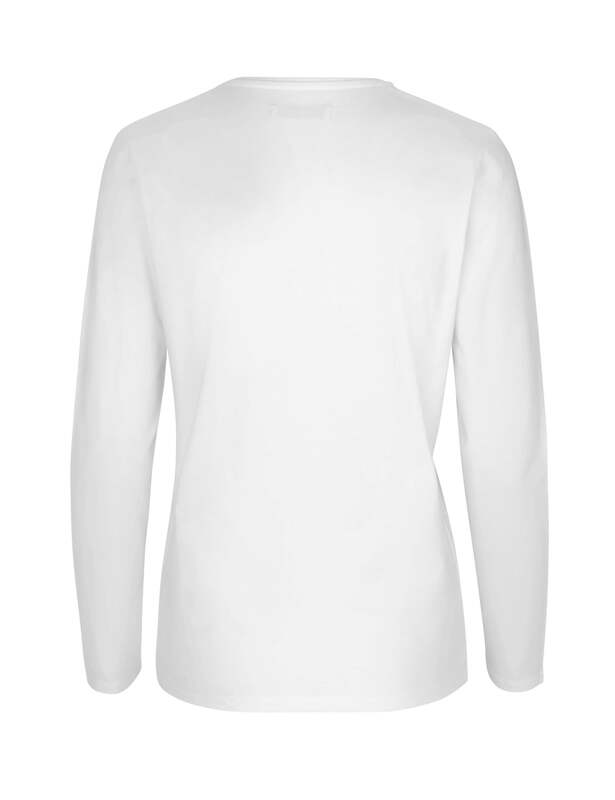 The garment is made of GOTS certified organic cotton in white, has a small ribbed collar at neckline and is slim fitted.